Abbey is a kitty after my own heart! We both love shoes, although I might even concede and say that she loves them a little bit more than I do. I mean, I love wearing them, but she love love loves them, and likes to cuddle up with them, which you'll never see me do. Not in public anyway. BONUS CUTE: Here's a cat who gets stuck in a slipper with the same kind of shoe love. Want more? OK! Here's a one kitten vs. two shoes. Like cute cat videos? Why not subscribe to Your Daily Cute by email? Don't miss a Cute! Tigger loves to lie on his belly in his momma's lap and get petted. And when she stops petting him, he grabs her hand and pulls it toward him, asking every so cutely for more belly rubs and chin skritches. What a sweet boy with such a soft, adorable demeanor! I'd pet him all day. Don't you just hate it when you're trying to make a very serious video or speech and all of the sudden your cat decides they need to get your attention, like right now? P.S. Here that Lego Town Facebook page if you want to check it out! 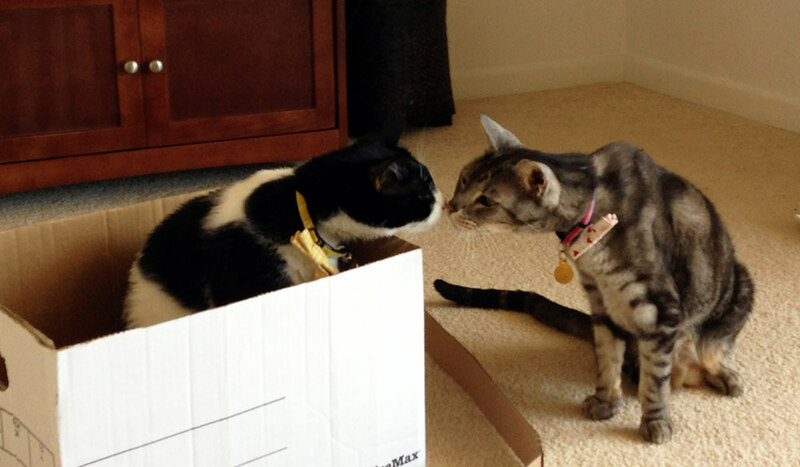 BONUS CUTE: Here's another cat interrupting a speech. Two Cats Tuesday: A Box in Moo's Not-Box and My Two Favorite Kittens from #BlogPaws! 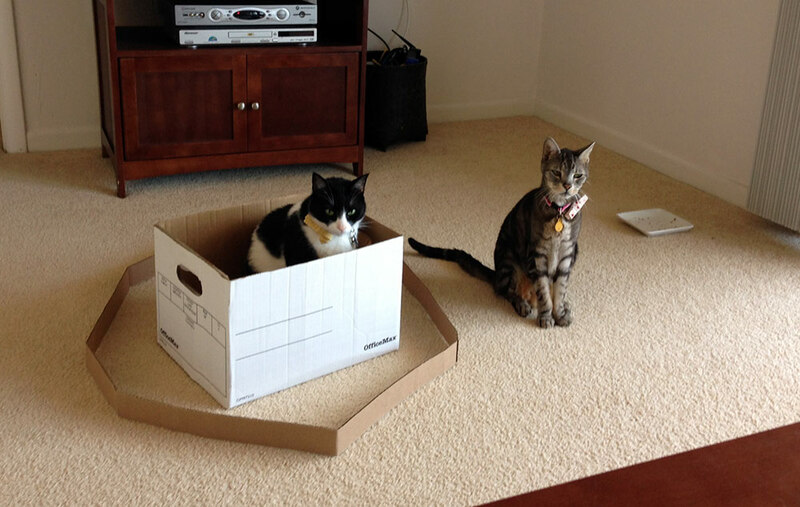 Happy Two Cats Tuesday, Cuteheads! Today Moo has breaking news from his not-box... Just when he thought things couldn't get any better, there is now a real box inside his not-box! I have a box IN my not box! And Pimp is not in my box or my not-box. Moo is seriously so silly about his not-box and his box. He spends tons of time in there. I wonder if we can get rid of either one ever? Last night, the BF tried to break down the box in side Moo's not-box and I quickly stopped him. What in the world was he thinking?! 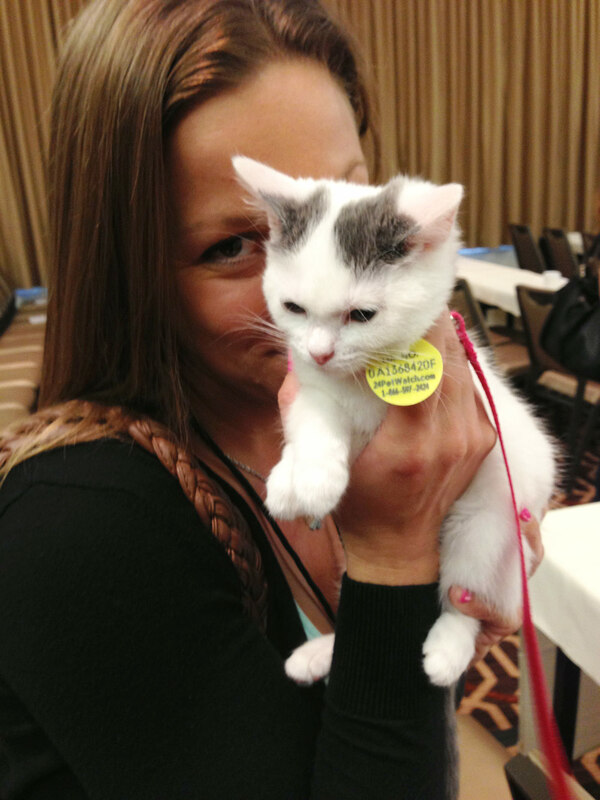 And now on to the cutest part of the BlogPaws conference... 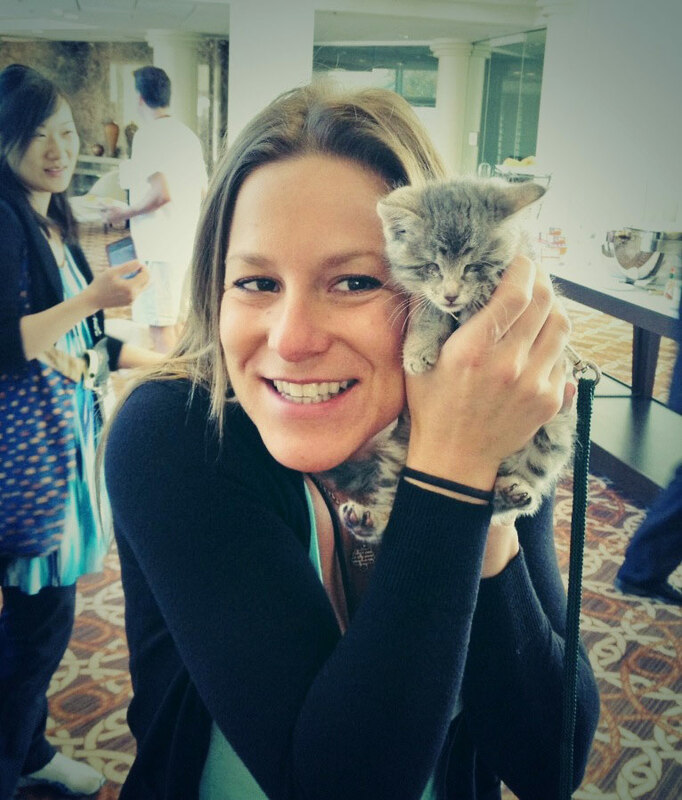 There were kittens! I had to go seek them out a few times a day just to get my kitten fix, of course. First, meet Odilia. She is from the Tails from the Foster Kittens blog. She is blind and was born with no eyes. But not to worry! She has no idea she is supposed to see, so she is perfect as can be! And adorable. Ridiculously adorable. Me and Odilia. She was one of the highlights of the conference! And then there was Triscuit. This little nugget is from the Random Felines blog. She had the round little kitten belly that kittens tend to have, and she was just the sweetest baby! She attended sessions and spent her time walking around on a leash. Just precious! Way too precious. Triscuit. I wanted to eat her up. What's better than a cute cat video? Well, a video that the best moments from lots of cute cat videos all put together in one! And what makes it even better? It's Shorty and Kodi, two of the cutest (and silliest!) video-making kitties I know! P.S. The #11cattransport was a success and the herd of kitties made it to Forever Home Feline Ranch in Springfield, Illinois around 8:30 p.m. last night. All the kitties are settling in and they promised pictures soon! I can't wait to see the great homes they find them all!